Like a luchador (Mexican wrestler) from Lucha Libre, the Parc Deli (in Victoria Park, Cardiff) towards the end of each week (Thursday to Saturday evenings) sheds its daytime sandwich shop persona, dons its mask (well puts up a sign outside) and transforms into, the taco toting Mexican, Mi Tierra. 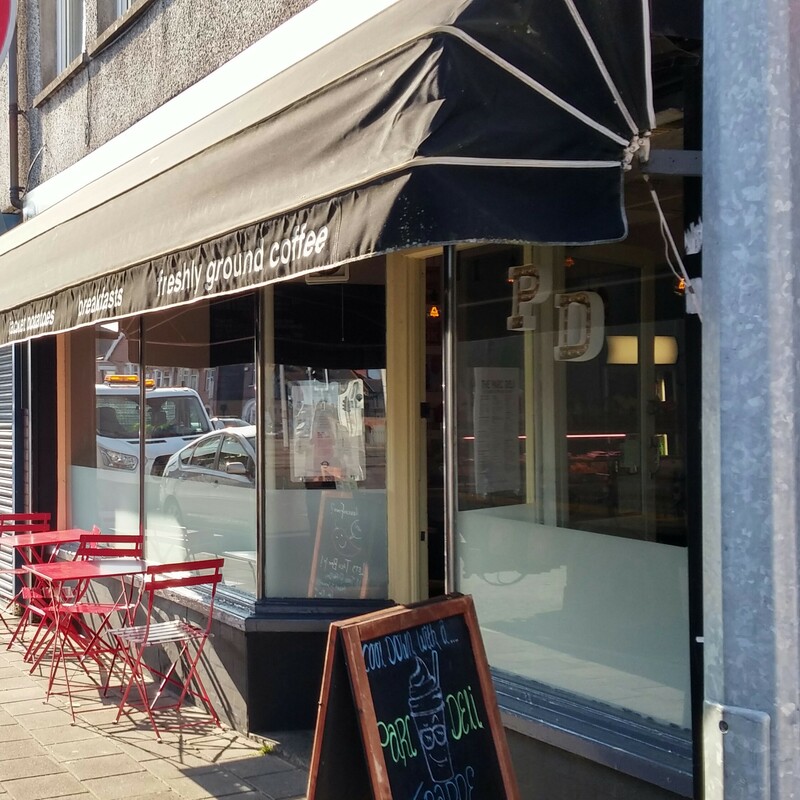 Mrs. SF loves good Mexican food, but has yet to find a Mexican restaurant that really floats her boat in Cardiff. 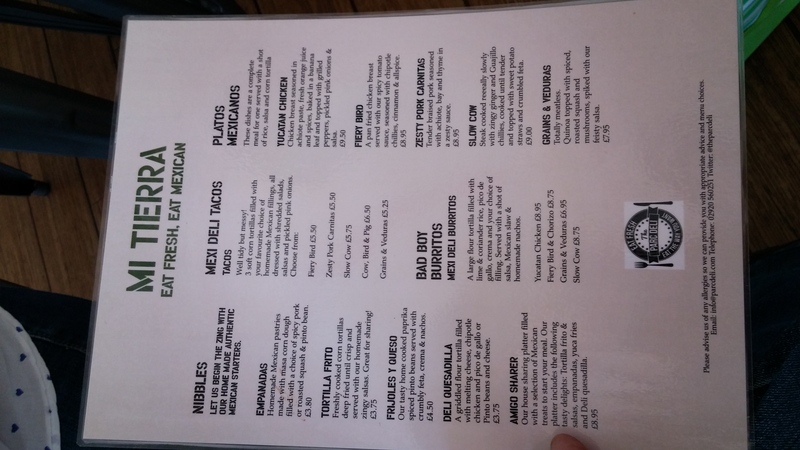 Wahaca is fine, but doesn’t quite excite, we have not got to Vivo Latino as yet (which seems to get reasonable reviews) and the faux Mexican that is Las Iguanas just doesn’t come remotely close. 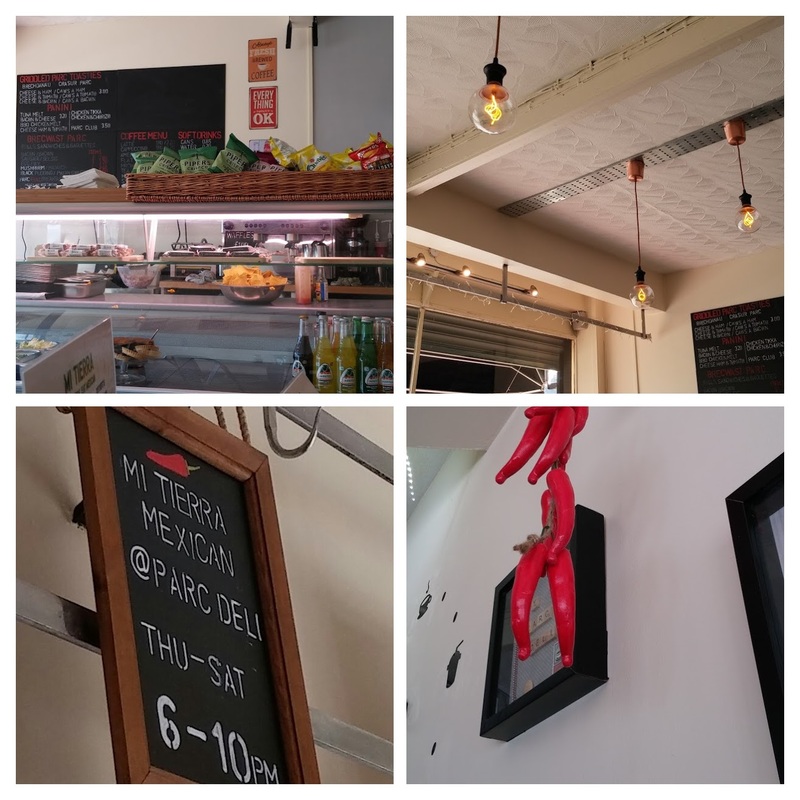 We were hopeful Mi Tierra (with the bonus of its reasonable proximity to our Llandaff base) would fit the bill in terms of a go to Mexican. afforded the ability to get to Mi Tierra in time to snag a table (no bookings taken and it is very small). menus on the tables and in the window and a board outside seems to be the only elements of the transformation. Inside it is tiny with only a few (five I think ) tables (there are a couple more outside). It still very much has the look of a daytime sandwich shop. Having said that it is comfortable enough and we got a very warm welcome on our arrival. 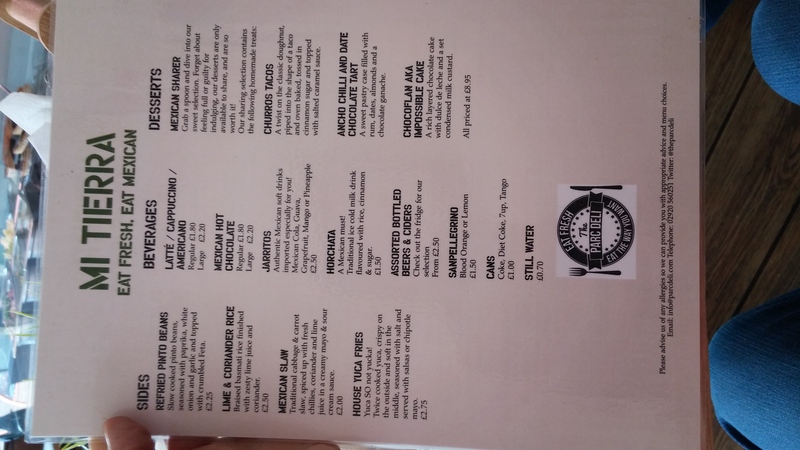 The menu is split into nibbles (for just that or to act as a starter), burritos, tacos (soft) and Platos Mexicanos. There is also a selection of sides on offer, as well as a dessert section. To start we thought it best to try a bit of everything, so went for the sharing platter (£8.95) between the two of us. This consisted of a stonkingly good quesadilla (with tender spicy chicken, gooey cheese and a nice hit of chilli heat), a couple of very nice empanadas (filled with squash and refried pinto beans, again with a decent amount of chilli), a good portion of crisp on the outside yuca fries (in effect cassava, like potato but a bit more floury inside), proper homemade tortilla chips and three really good salsas (a pineapple and chilli one, a really limey guacamole and a fresh but pleasingly hot green chilli one). 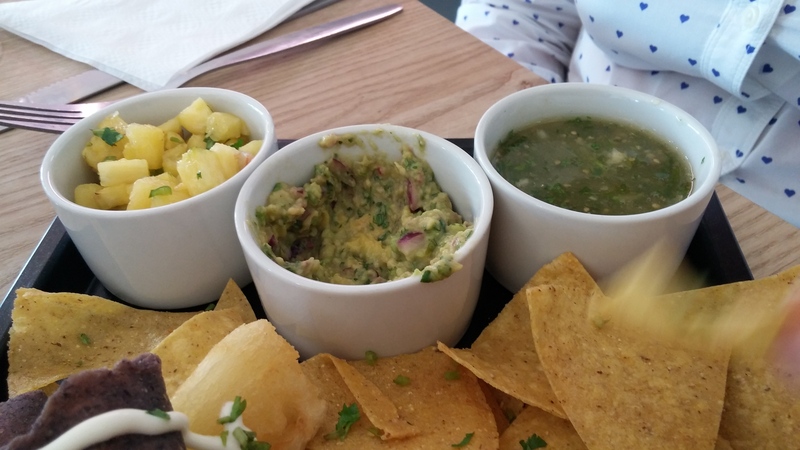 The well seasoned yuca fries really came into their own when used as a delivery vehicle for the salsas to the gob, especially the green chilli one. 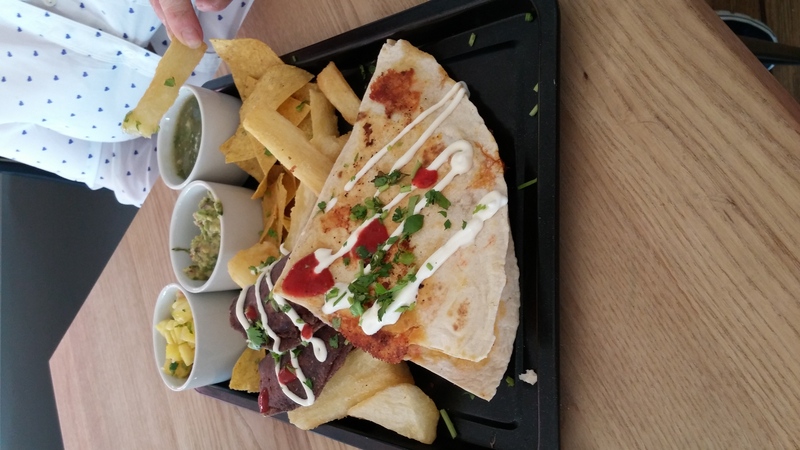 Lovely, classic, Mexican flavours on display here with plenty of lime, chilli and fresh green herbs. On to the mains, whilst sorely tempted by the tacos, we both went for the Platos Mexicanos which consists of chicken, beef, pork or grain options, coriander rice, a soft corn tortilla and three salsas (the same as with the sharing platter bar from the green chilli being replaced with a refreshing pico de gallo). These came on what I would call US penitentiary issue food trays. More charitably they could be said to be thali trays. I decided on the “zesty pork carnitas” (£8.95), which was cooked low and slow to tender loveliness. The spicing was subtle with a hint, rather than a smack in the chops, of chilli as well as thyme, oregano and a lovely flavour of zesty orange running through it (presumably as part and parcel of the achiote paste in the dish). The orange flavour worked really well with the pork. Mrs. SF choose the “slow cow” (£9.00), which was fall apart beef cooked with ginger and guajillo (a moderately hot chilli). This was topped with crispy sweet potato straws and feta (shame not queso fresco or queso anejos which would be perhaps more authentic – especially if homemade). Really nice dish this with great flavours of ginger and fruity, slightly smokey, chilli added to quality beef. The chilli heat in both was reasonably subtle rather than incendiary and the rice was cooked to a nice fluffiness and properly seasoned. 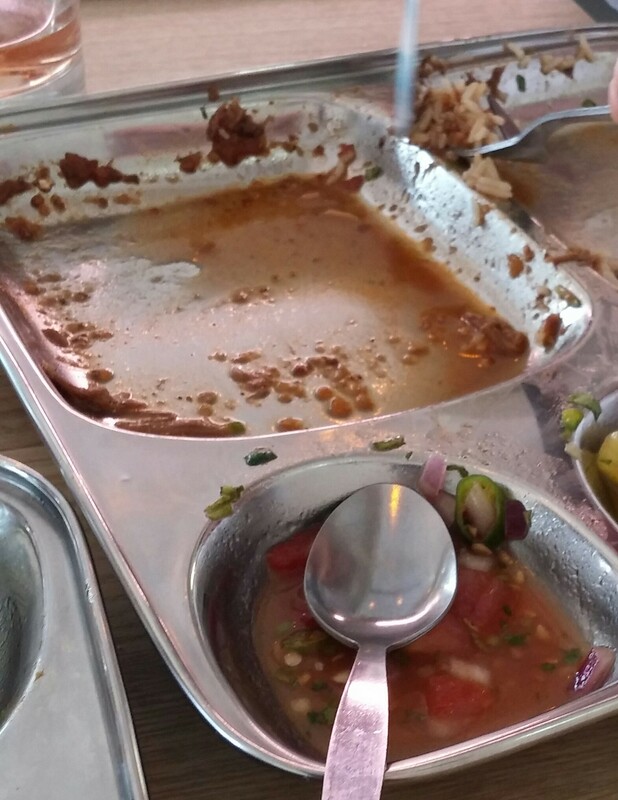 The only very minor issue was one corn tortilla was not enough to mop up the ample and tasty liquor from the beef and carnitas respectively. A few more corn tortillas wouldn’t have gone amiss (one is neither here nor there and hardly worth the bother really). On to desserts, they have one offering in the form of a sharing platter. It comes on a tray – not especially keen on that if am honest. Whilst the menu says it is an all in option only if you ask nicely they may be prepared to split them up and give you one (as they did for a couple whilst we were there). 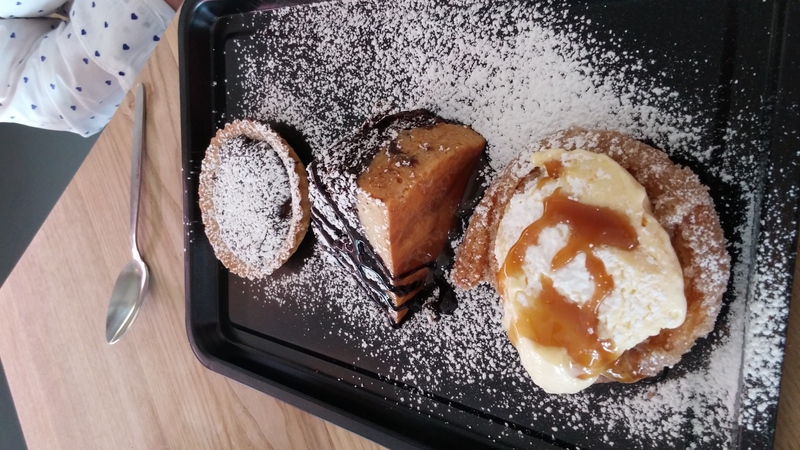 The dessert platter consisted of churros topped with a lovely caramelly ice cream, a chocolate and duche de leche cake aka a chocoflan/impossible cake and a rum, date, almond and chocolate tart. All good, but the pick of the bunch was the light as a feather churros. As a frequent visitor to Spain I have eaten my fair share of churros and this effort was up there with the best. I actually thought, even for two people, the desserts were a bit too much – both the tart and the chocoflan/impossible cake were very rich and we struggled a bit to finish them. I would have been more than happy with just the churros. 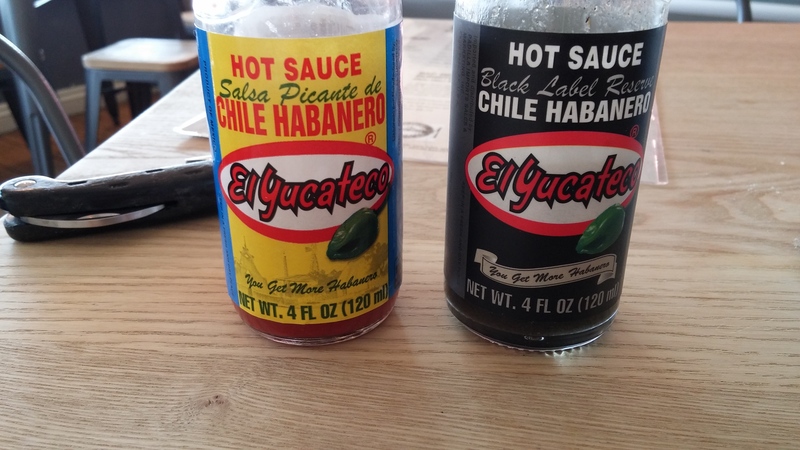 Whilst beer is generally accepted as the standard pairing for Mexican food, wine should not be dismissed. 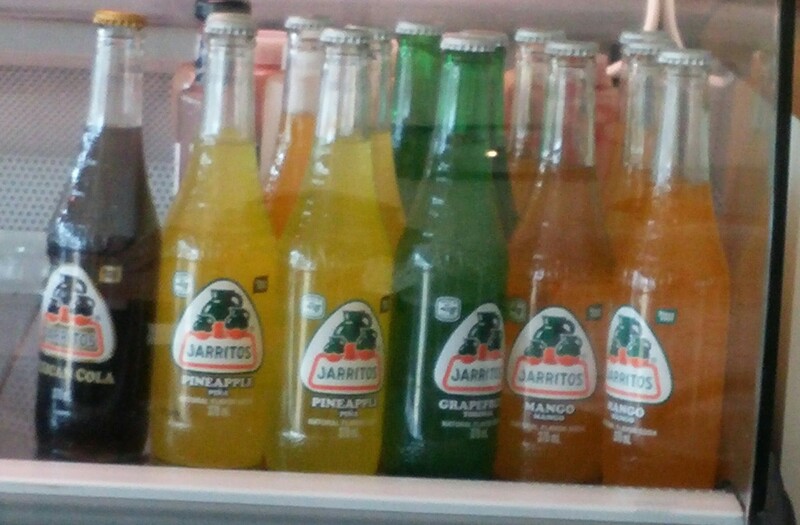 Tannin heavy and high alcohol reds are a no no as they jar with spicey food, but slightly off dry (sweet helps moderate heat – hence why Jarritos sodas are quite to very sweet), low alcohol wines (think a German riesling) work well as do fresh limey ones (New World rieslings). Another good white match would be the spice friendly Grüner Veltliner and anything with bubbles also works quite well. 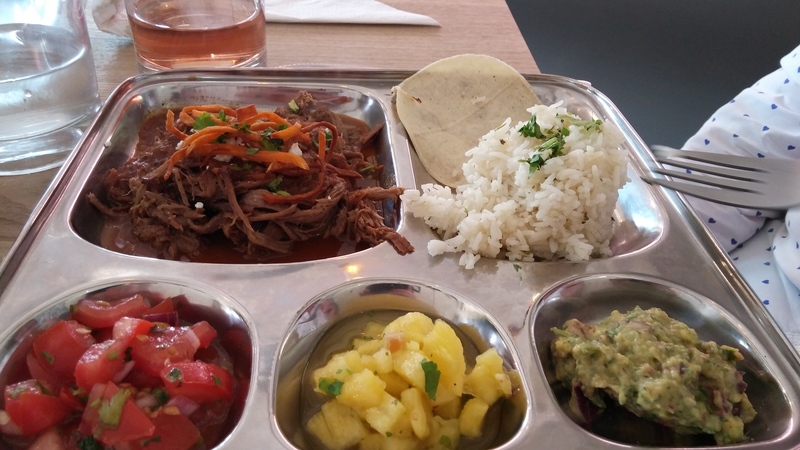 A surprisingly good wine pairing for Mexican food is rosé (still or fizzy). The low tannins and fruitiness of a rosé work well with chilli heat. 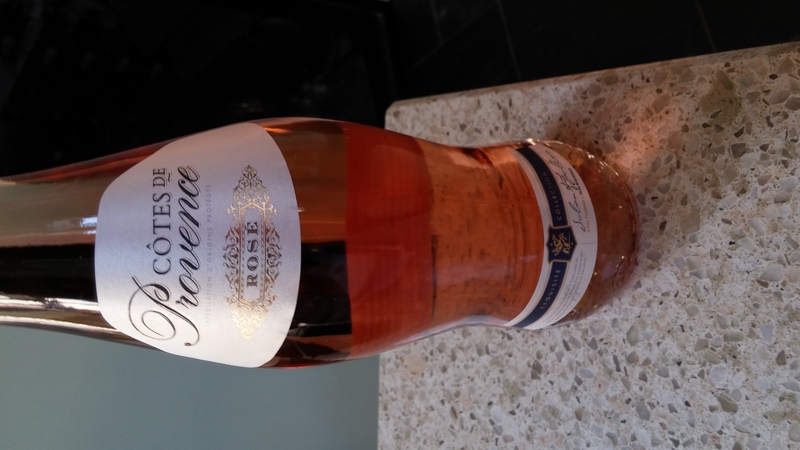 We went for an Aldi Cotes du Provence number, which is good value at £5.99. The fruity strawberry notes in this wine worked really well with the starter and mains here. 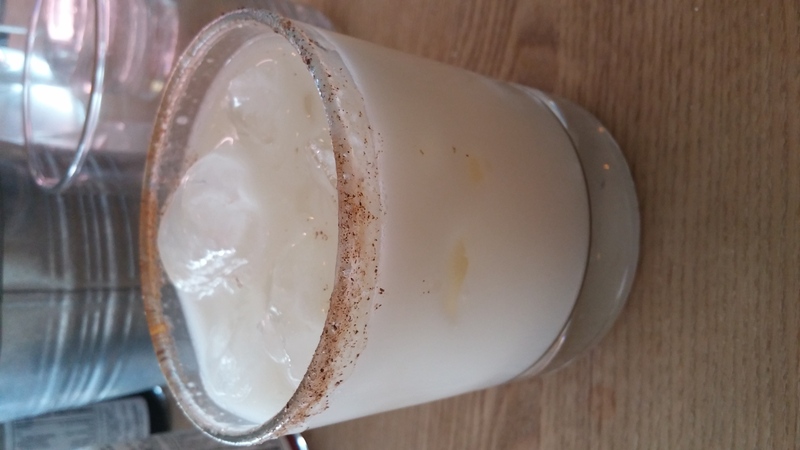 with the Mexican version (made with ground white rice and sometimes, as here, diary milk) differing from the Spanish one (which is made with tiger nuts). This was very refreshing with lots of ice and cinnamon. Sweetened with sugar it was good with the dessert and would also work to temper the heat of a chilli heavy dish. I really liked the food at Mi Tierra – which gives you classic Mexican flavours. The very friendly and helpful service added to the experience. 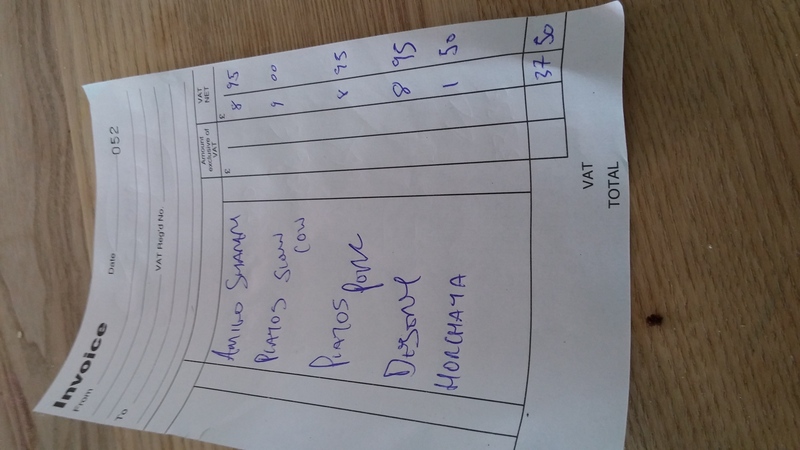 The bill (sans tip given) was £37.50, which I thought excellent value for the quality (and amount) of what we got. The free BYO policy also helps to keep the cost of eating here down. The pricing (whilst certainly very good value) could be regarded in places as a bit quirky. Why, for instance, are the 3 mixed Chicken, Cow and Pork tacos priced at £6.50 when the prices for 3 Cow, Pork or Chicken tacos respectively are £5.75, £5.50 and £5.50 (so an average of £5.58). The £6.50 price for the mixed tacos, therefore, seems very odd on that basis. 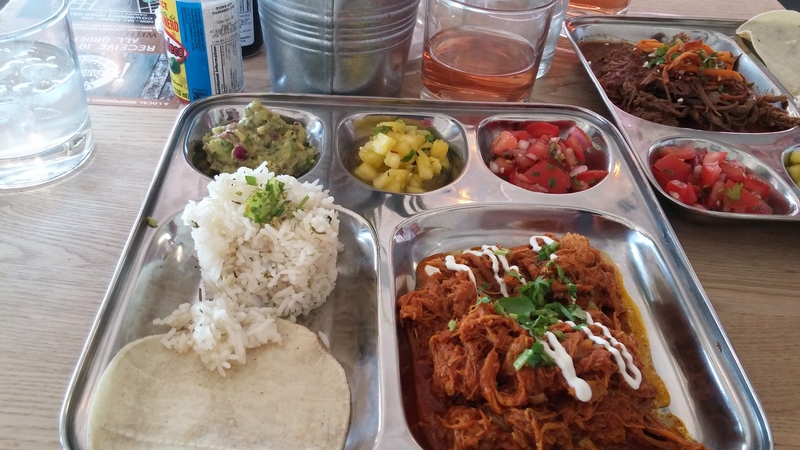 Also on the Platos Mexicanos why add just 5p in terms of the price of the “slow cow” over the “zesty pork carnitas”? Seems hardly worth the bother pricing them differently if it is only 5p, especially as the prices of the “slow cow” burrito and “zesty pork carnitas” burrito are the same at £8.75. Would I go back? Definitely. The kitchen here knows its way around Mexican flavours and delivers big time on its promise of authenic Mexican food. One thing I would perhaps like to see making an appearance on the menu is tamales. That would be just peachy. 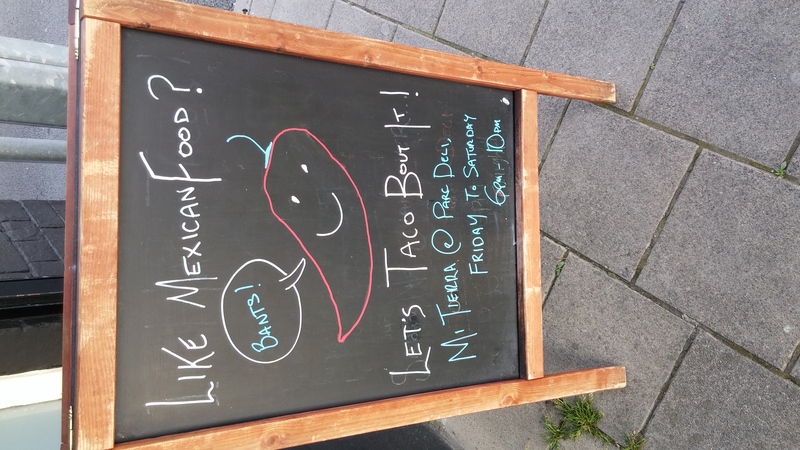 Mi Tierra is now my go to Mexican in Cardiff and the fact it is walkable from my house, has a free BYO policy and does takeaways just sweetens the deal further. In summary “me gusta, me gusta mucho”. It is easy to miss even if walking by it but I would suggest you give it a go as, in my opinion, it is well worth a visit. With this place and Pettigrew Bakery, the Victoria Park food scene is seriously starting to look up. Thurs – Sat: 6pm to 10pm (for Mi Tierra). 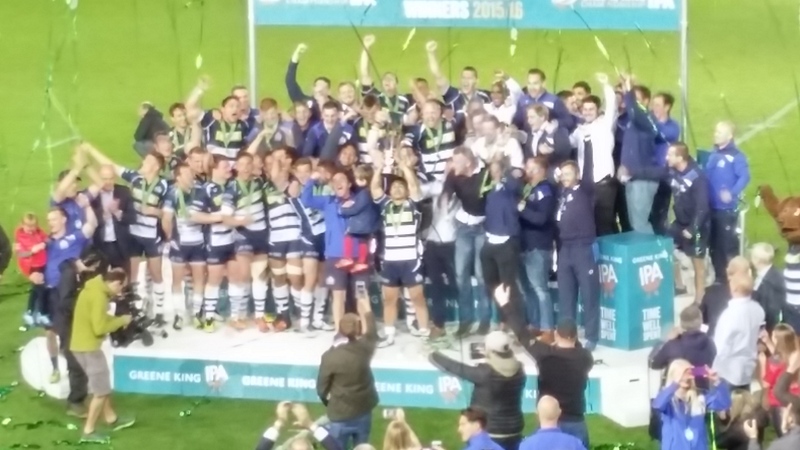 This entry was posted on May 29, 2016 by solicitingflavours in Alcoholic drink, Aldi, Alternatives to sauvignon blanc, Beer, burrito, BYO, Cafe, cake, Cardiff, Cardiff restaurant, cheese, Chilli, cider, coffee, desserts, Drink, Dry white wine, Food, French wine, German wine, Ice cream, low alcohol wine, Mexican, Mi Tierra, New restaurant Cardiff, No corkage, Non alcoholic drink, Parc Deli, Pork, Restaurant Review, review, Rosé, taco, Takeaway, Tortilla, vegetarian food, Victoria Park, Wahaca, Wales, White wine, wine, wine pairing.